Most of us don't have many artifacts documenting the last 10 years of our lives. Some may have social media albums worth of selfies and party memories, others still have numerous notebooks worth of entries to sift through. But for multi-instrumentalist and songwriter Luke Messimer, logging thoughts and emotions happened through the realm of music. Tomorrow, Messimer is celebrating his compilation of chronicled songs, aptly titled Ten Years. Totalling 32 songs in length, Messimer recorded the tracks for Ten Years from 2005 to 2015 in various places along the west coast, plus Arizona and Wyoming. He commissioned the help of quite a few others in the making of all these delightful indie pop songs, like Adam Fight of local band Loveboys and California pop artist Molly Marlette. Despite all the hands involved in this process singing, songwriting and producing wise, the songs on Ten Years are presented in their originally recorded form - no editing, remastering or re-recording, just as they were recorded using the built-in mic on Messimer's Macbook using Garageband. 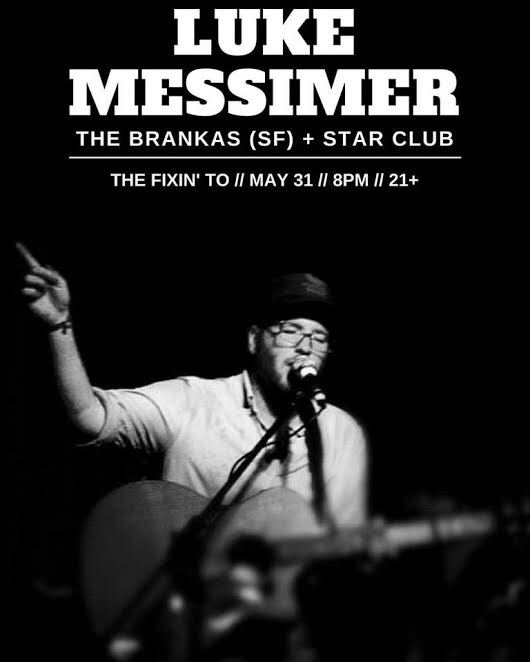 Follow Messimer through his sonic journey the last decade by streaming Ten Years below and checking out his album celebration show tomorrow at The Fixin' To, where Star Club and San Francisco math punk duo The Brankas will also be playing.